Are you the sort of singer/songwriter who wants an AudioBox that matches that nice brushed aluminum look of your laptop perfectly? 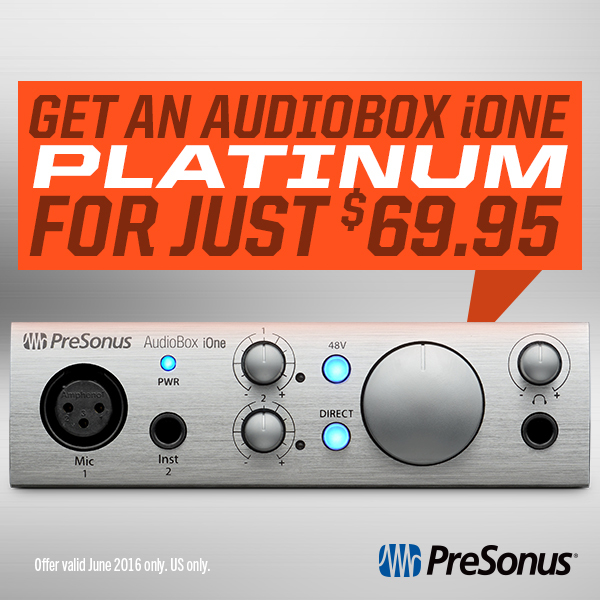 Look no farther than the AudioBox iOne Platinum—a limited-edition run of our most portable of portable interfaces. And ONLY in June of 2016, these gorgeous li’l units are down from $99 to $69. The AudioBox iOne allows you directly record an instrument of choice and a single XLR microphone simultaneously, which is what makes ideal for the singing guitarist crowd. 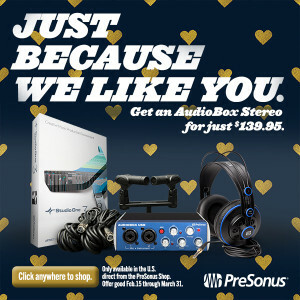 Just connect your guitar to the 1/4″ input on the front, your mic to the XLR port on the front, and connect the AudioBox to your computer via USB. Using the included Studio One 3 Artist software, you’ll be up and running and demoing your next (or first) hit in a matter of minutes. And to keep things extra-portable, you can also record via the iOne to your iPad running the included Capture Duo software. Capture files can be wirelessly transmitted to your main workstation and opened up for editing in Studio One. All told, everything you need to record a song will fit in a shoebox. Not that we recommend keeping it in a shoebox. Be nice to it, it’s shiny. 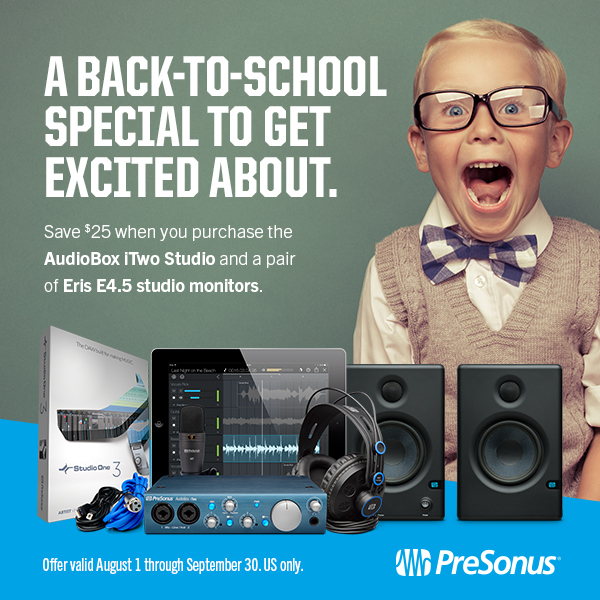 This offer is available in the USA only, and only directly from the PreSonus online store. Click here to shop! Jessie Kol and Perry Sorensen recently had a great experience tracking their newest single on the Studio 192, and they sent us this great video about it! Sounds great, you two—and that studio is gorgeous, BTW! 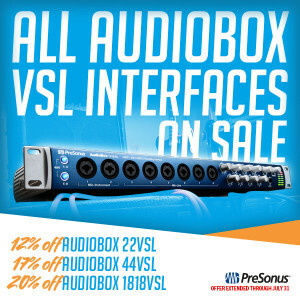 Learn more about the Studio 192 here. Keep up with Jessie Kol here. Perry Sorensen is also the head of Mastering at Naxos, where he uses the Sceptre S8s. More on that here.